More than 1,000 small grocery stores across New York City will go on strike Thursday in the latest protest against President Trump's immigration order. The strike is being carried out by Yemeni-Americans who own small grocery or corner stores generally known in New York as bodegas. Bodegas run by Yemeni Americans -- once a feature of the city's Latino neighborhoods -- are a New York mainstay. Over 1,000 store owners will participate, according to organizers, the Arab American Anti-Discrimination Committee and the Muslim Community Network in New York City. "This shutdown of grocery stores and bodegas will be a public show of the vital role these grocers and their families play in New York's economic and social fabric," according to a Facebook event advertising the action. Zaid Nagi, who owns or invests in roughly 20 grocery and cell phone stores in the Bronx, says all of his businesses will be closed from 12 p.m. to 8 p.m. Thursday. His mother is currently stuck in Jordan, unable to move forward with her visa process, he said. "We are hard working individuals who work long hours to establish businesses, who play by the rules that have been set by the system...Our community was shocked when the executive order was released," Nagi said. Abdul Mubarez, a second-generation Yemeni American, is also going to shut down two of his three convenience stores in the city. 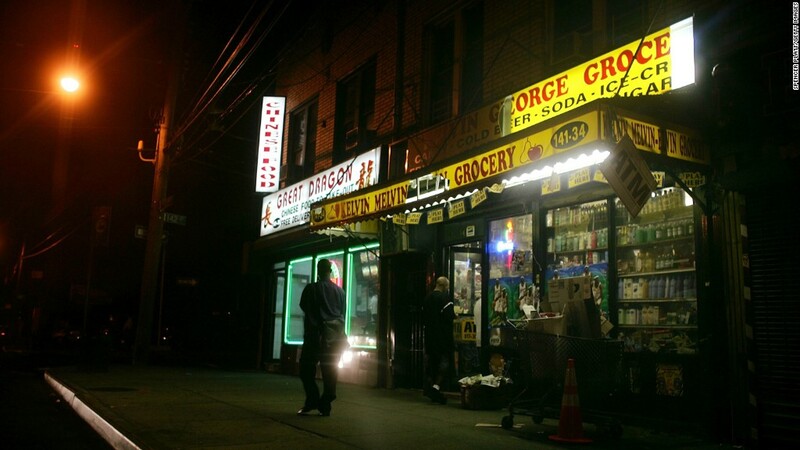 "The Yemeni community has been here for a long time in New York City, and they own close to 3,000 convenience stores in every corner of the five boroughs," Mubarez said. "It brought a lot of pain to people." Trump signed an executive order Friday barring citizens of seven Muslim-majority countries, including Yemen, from entering the United States for the next 90 days and suspending the admission of all refugees for 120 days. The order also indefinitely suspends the Syrian refugee program. On Saturday, New York City cab drivers -- another profession with a heavy presence of immigrants -- refused to drive to the city's airports in protest over Trump's order.